Images by Clare Kinchin Photography. 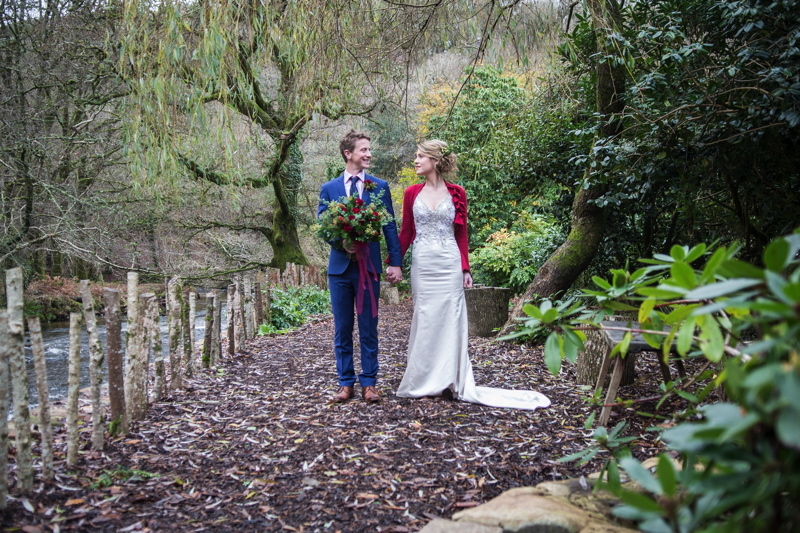 We’ve championed elopements as big news for 2016 and beyond and one venue who have really made our heads turn on this topic are Ever After – A Dartmoor Wedding. 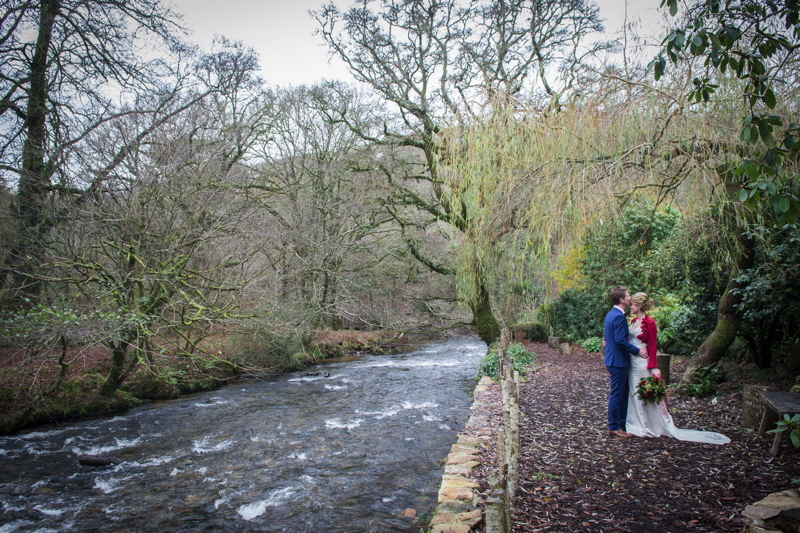 This wedding venue, bordering Dartmoor National Park on the banks of a Devon river in England, has a dedicated package that’s been perfectly curated for couples choosing an intimate celebration without compromising on style. 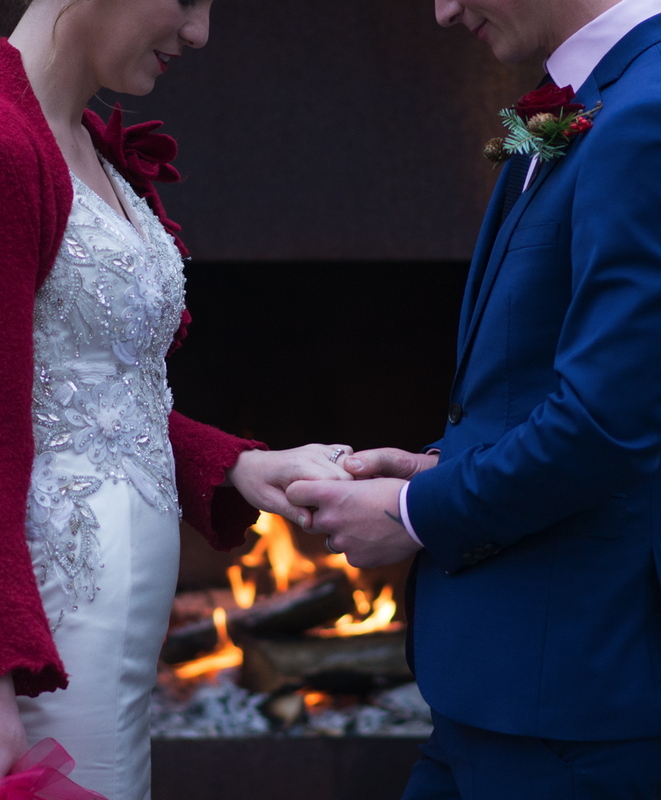 To illustrate how beautiful Ever After is for such a wedding, Nicola and a talented team of local pros created an uber charming photo and film shoot of an intimate winter English elopement with a real life couple! 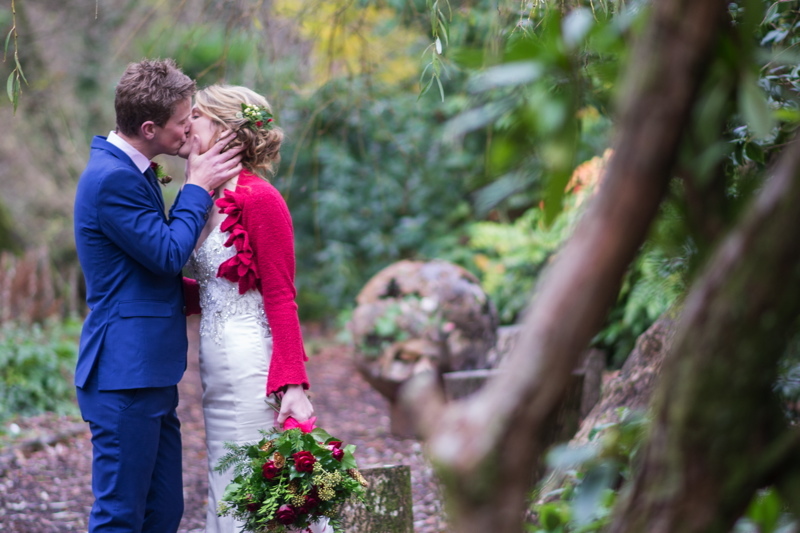 Kayleigh & Ben returned to this private garden estate where they were married in their own elopement last summer before having a big wedding reception nearby. The couple had worn casual clothes for their original elopement ceremony and had no professional photos from the day, so the idea developed to have a grand re-enactment for the couple who wore their own wedding clothes for the shoot! 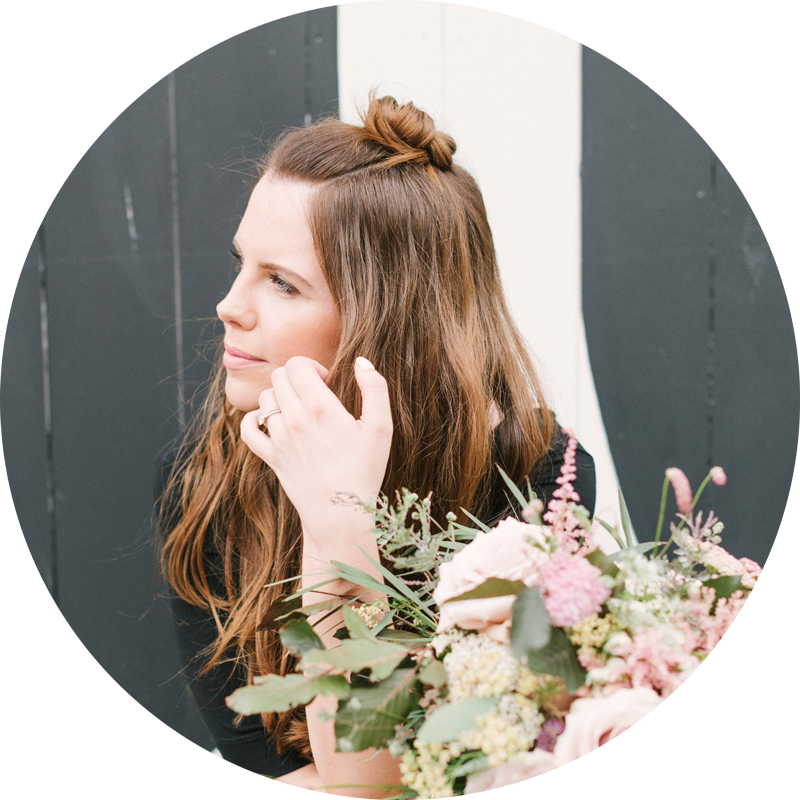 Professional suppliers in the form of hair and make up artists, florists and photographers and film makers came together to make this an emotional and super special day for the Bride & Groom. I adore this super cute film by Baxter and Ted, but if you scroll down there’s more from Clare Kinchin Photography, oh and the florals by Amanda Randell are a wintry dream! 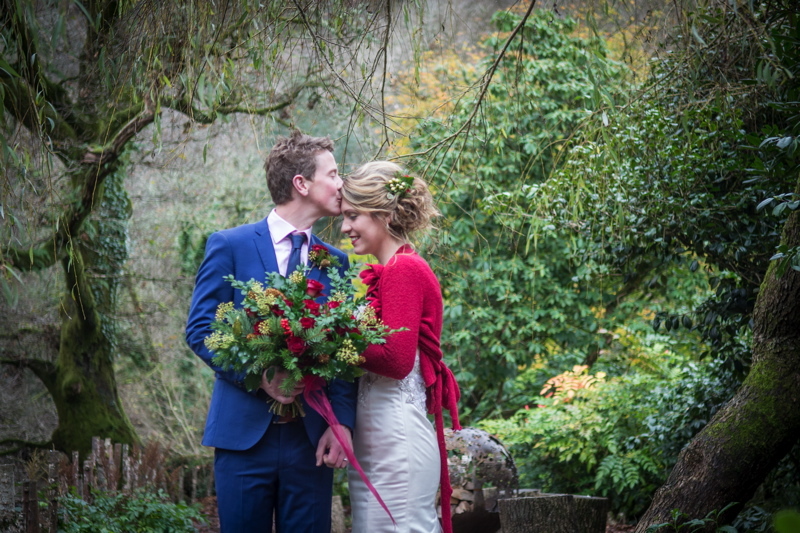 The words are provided by Nicola, owner of Ever After – A Dartmoor Wedding and planner extraordinaire! We loved creating this day for Kayleigh & Ben, the suppliers working on the shoot felt it was more like a real wedding than a photo shoot! The emotional re-enactment of the ceremony for this couple was so special and the real tenderness between them is beautifully captured in the photos and the film by Baxter and Ted. 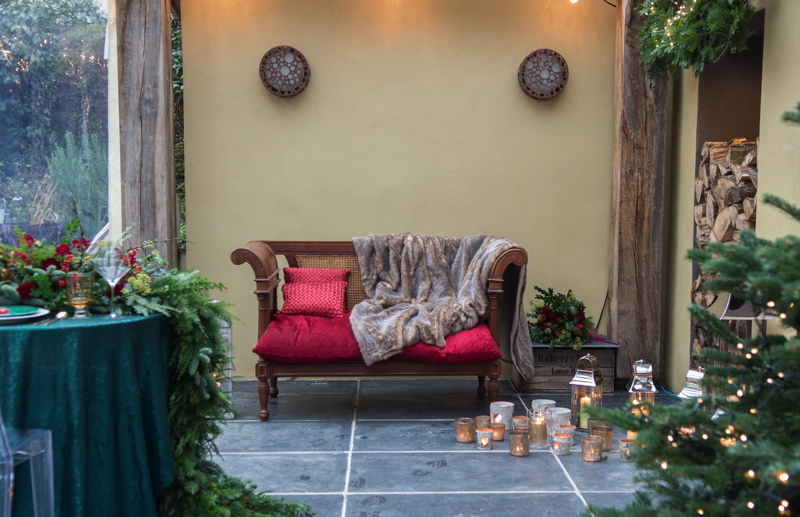 Reflecting the outdoor winter look and the natural oak and slate materials of the venue, the shoot colours are matched with nature; think ochre and gold, evergreen and berry red. 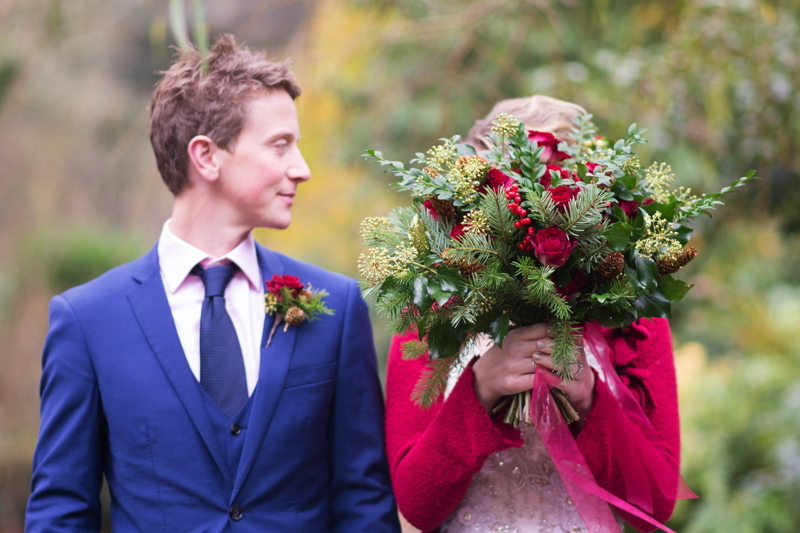 The Bride wore the stylist’s own candy apple red shrug for practical warmth and added colour. 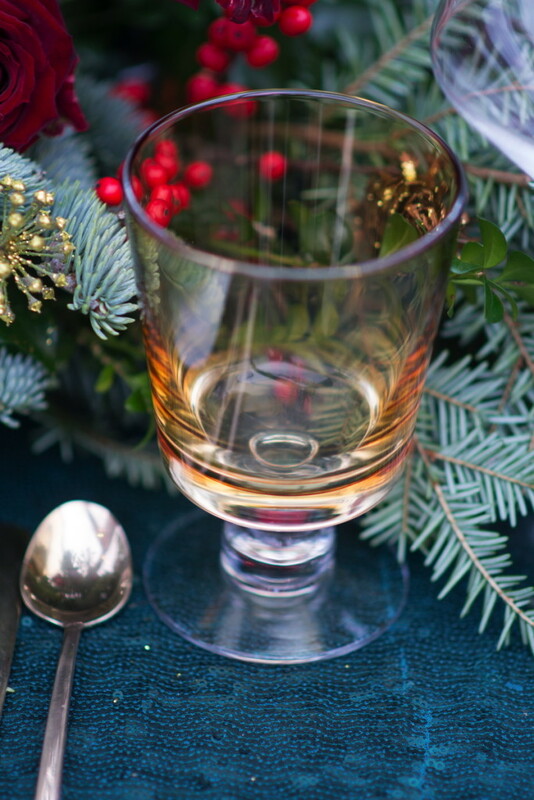 The venue was decorated with a simple fir tree and tiny white fairy-lights,echoing the fir garlands by the open fire. 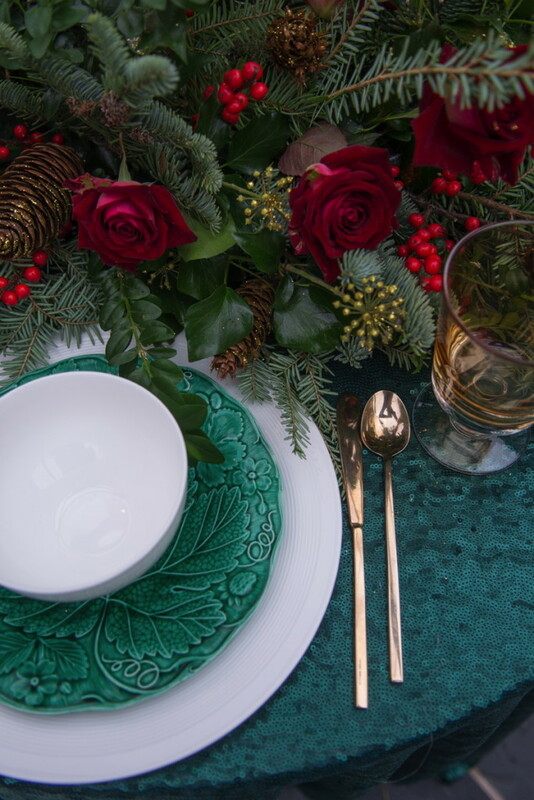 The Sweetheart Table is richly dressed with a forest green matte sequin tablecloth, antique majolica plates and gold flatware. Amber water goblets added to the ochre and gold accent colours. 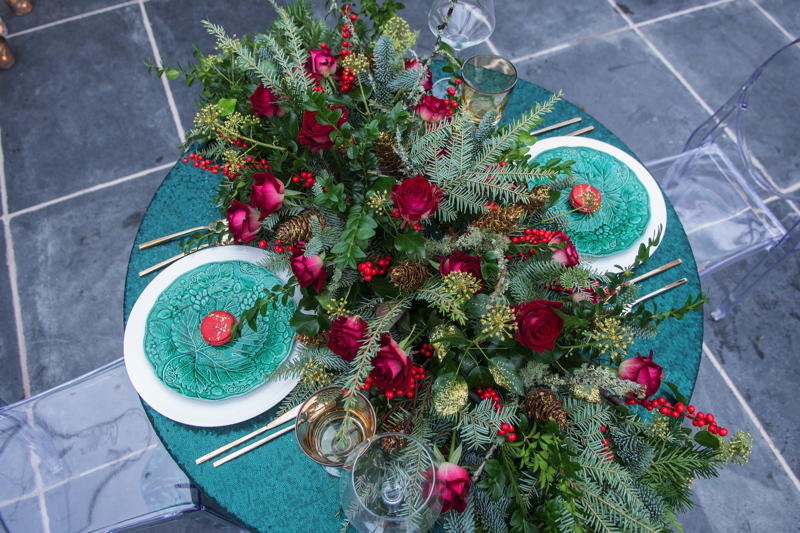 Chelsea Flower Show Gold Medal winning florist Amanda Randell created a spectacular evergreen garland cascade for the table with evergreen branches, ivy and scarlet roses. 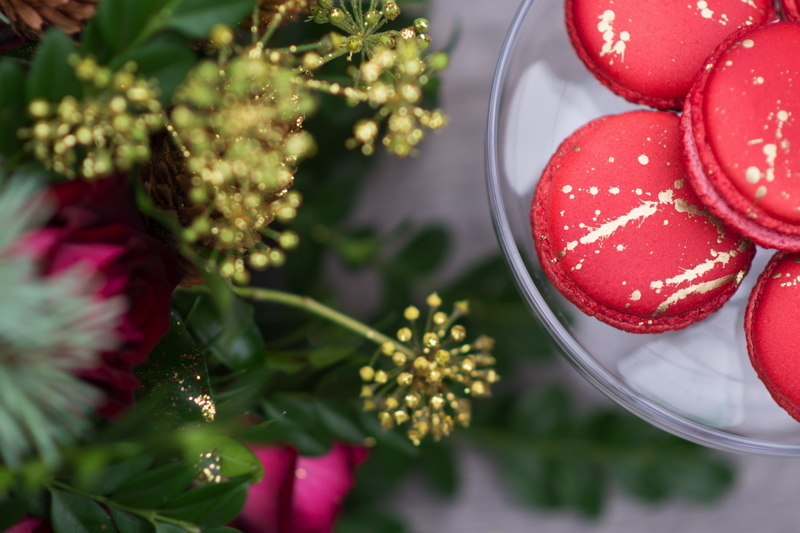 A faux-fur rug, a scattering of sumptuous red velvet cushions on the wooden love seat and the cranberry red gold-splashed Macarons by artisan baker Harrie of Boo to a Goose add to the sense of opulence and luxury. 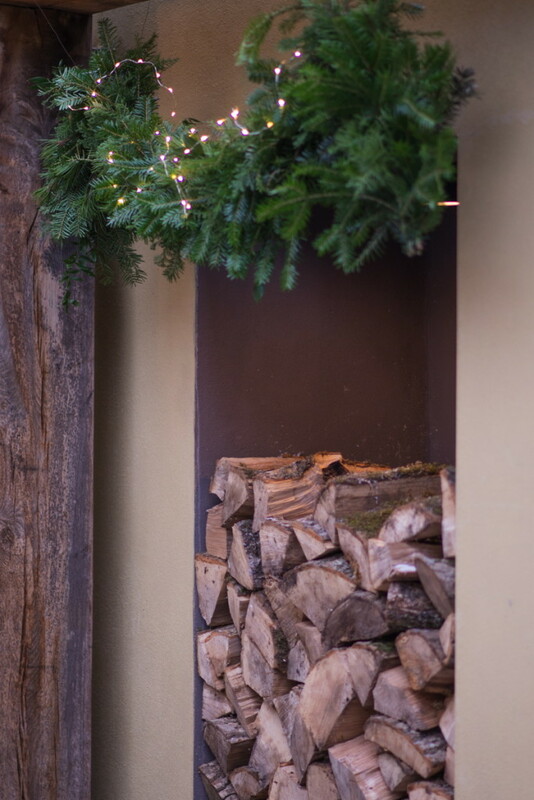 The open fire with an abundance of candles and fairylights bring a feeling of warmth and sparkle. 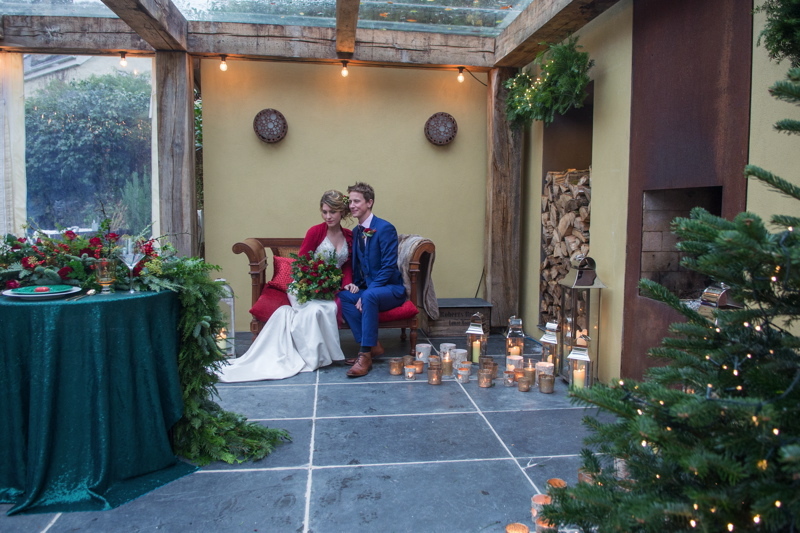 The location for the wedding ceremony, in front of the outdoor fire under the cover of a glass roof, brings the natural outdoor beauty into the space whilst protecting the couple and their guests from any inclement British weather! Venue Ever After – A Dartmoor Wedding | Photographer Clare Kinchin Photography | Film Baxter and Ted | Florist Amanda Randell | Stylist & Props Nicola Evans | Hair Jodi Brent | Make Up Jessica Hawke | Macarons Harrie Kivell. 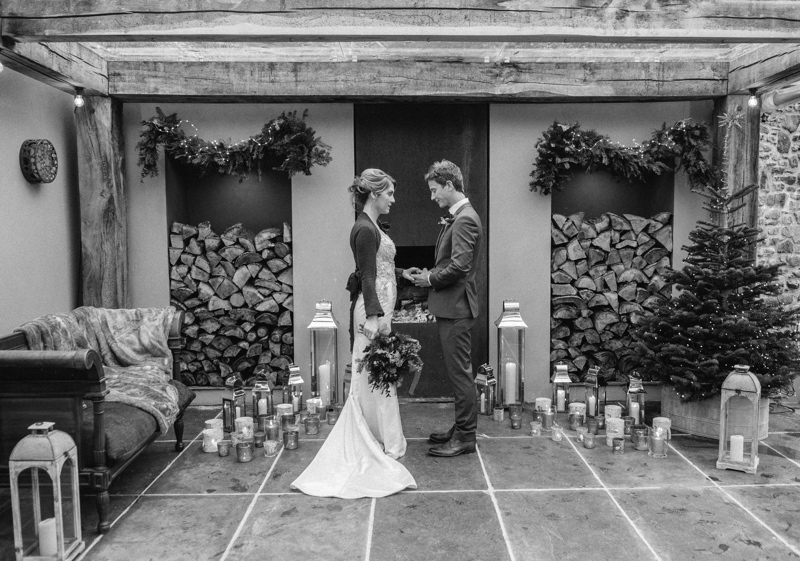 If you are falling in love with the idea of an elopement or intimate celebration, then do contact Nicola at Ever After on 0844 5000 501or email Nicola@lowergrenofen.co.uk. 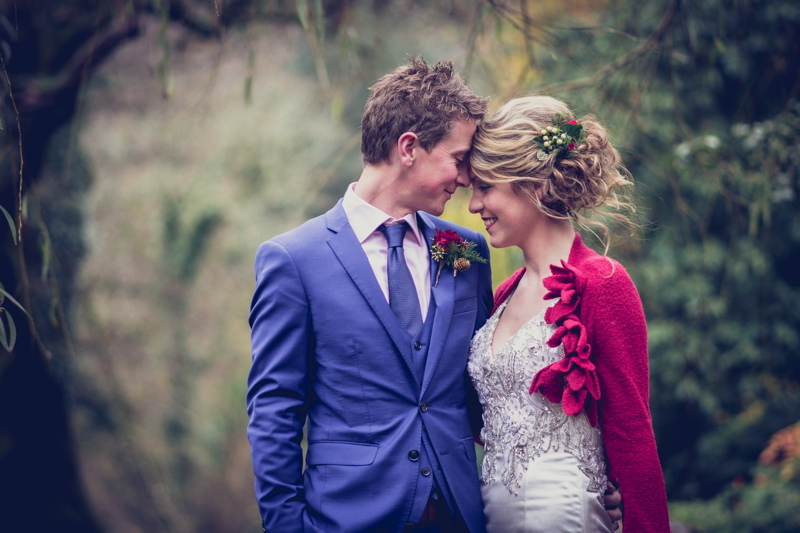 You can find more details of their elopements here and you can download their brochure here!